OTTAWA, August 10, 2017 – Dr. Brian Lee Crowley, Managing Director of the Macdonald-Laurier Institute (MLI), welcomes Richard Shimooka as Senior Fellow to MLI’s emerging Centre For Advancing Canada’s Interests Abroad. Shimooka writes on a broad array of topics, including Canadian and American foreign and defence policy, modern airpower, and defence procurement. He is author of Let Sleeping Dogs Lie: The Influence of External Studies and Reports on National Defence Policy (Queens’ School of Policy Studies) with Douglas Bland and Vimy Paper 33: The Fourth Dimension: The F-35 Program, Defence Procurement, and the Conservative Government, 2006-2015 (CDA Institute). He has a forthcoming work with UBC Press, titled No Nobler Purpose: Canada, the United States and 1996 Rwandan Refugee Crisis. “Richard’s expertise in defence procurement and airpower will prove instrumental in understanding Canada’s deployment abroad and the threat environment that we may face – from the Baltics to the Indo-Pacific to the Middle East,” added Majumdar. Shimooka is a frequent commentator in the media and has published op-eds in the National Post, Ottawa Citizen, The Hill Times, and War on the Rocks. Prior to this appointment, Shimooka was a Senior Fellow at the Defence Management Studies Programme at Queen’s University from 2007–2012, and a Research Fellow at the Conference of Defence Associations Institute from 2012-2017. “I look forward to working with the staff and other fellows in exploring some of the key challenges facing Canada’s national interests,” said Shimooka. 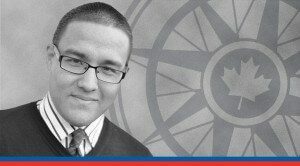 Richard Shimooka brings both academic and think tank experience on foreign and defence policy, and will further expand MLI’s national reach based on his location in Metro Vancouver. Richard Shimooka is a senior fellow with the Macdonald-Laurier Institute’s emerging Centre For Advancing Canada’s Interests Abroad.